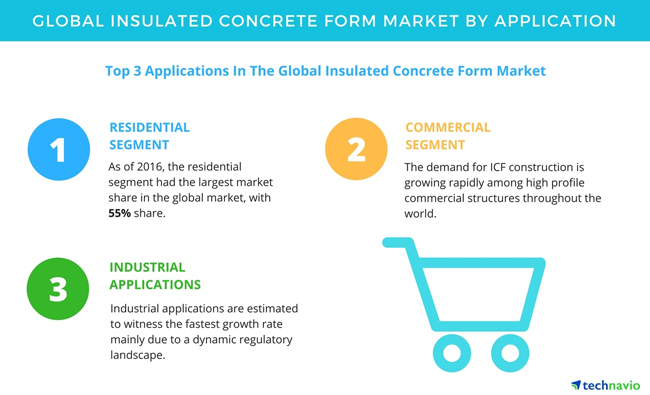 The global insulated concrete form market (ICF) is expected to grow 11 percent annually over the next few years, according to new research. The report by Technavio, titled “Global Insulated Concrete Form Market 2017-2021,” provides an in-depth analysis of the market in terms of revenue and emerging market trends. The report also includes an up-to-date analysis and forecasts for various market segments and all geographical regions. ICF construction is compatible with almost all home designs. Once built, ICF homes cannot be easily distinguished from their traditionally-framed counterparts. However, there are some visible differences in building homes with ICFs. The most prominent difference is the increased wall thickness. The overall depth, width, and square footage of a home are usually enlarged, owing to thicker exterior walls. 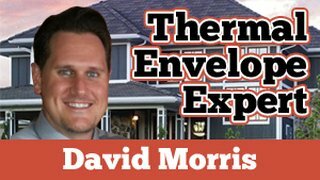 Basement waterproofing materials for an ICF basement need to be different as petroleum-based tar would melt the exterior foam on the ICF. Windows and doors ordered will need to have wider jamb extensions to accommodate the increased wall thickness. ICFs, experts say, have exceptional benefits over traditional building methods in the commercial construction industry. Vertical ICFs provide green and sustainable building materials for any construction project. They provide a wall assembly that is considered one of the best methods known in the construction industry. “The demand for ICF construction is growing rapidly among high-profile commercial structures throughout the world. 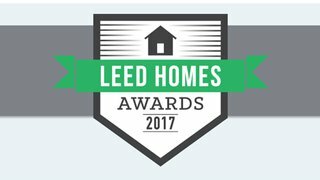 Leaders of the professional building industry offer ICF as an alternate for some of the largest multi-family dwellings, schools, hotels, assisted living facilities, government infrastructure and industrial buildings,” Ajay said. Industrial applications are estimated to witness the fastest growth rate during the forecast period, mainly due to a dynamic regulatory landscape. The numerous features and benefits ICFs provide make them the perfect choice for better standards of construction. ICF exterior walls require 30-40 percent less energy to heat and 20-30 percent less energy to cool when compared with wood-frame houses. The larger the rooms, the bigger the energy savings. ICF walls have another advantage that is significant for industrial applications. They can resist up to a four-hour fire rating, using only a flat wall system. The reinforced concrete is capable of withstanding very high temperatures and still stay intact. Recently, the UAE government endorsed the design and implementation of green buildings to increase energy efficiency in infrastructure development. This means the construction fraternity in the country would need to shift from the conventional construction to sustainable methods, such as insulated concrete forms. ICF structures are eco-friendly, efficient and can carry a considerable amount of load, the report said. One of the prominent environmental benefits is that ICFs can be produced from recyclable materials, which is a major contributor to reducing the impact of buildings on the environment.